Alleppey, Kottayam and Thrissur is now an Uber away! Over the past couple of years, we’ve worked hard to #KeepKochiMoving. Now, it is time to #GetKeralaMoving. Today, we are super excited to announce that you can now book Uber rides to Alleppey, Kottayam and Thrissur. All you need to do is to fire up the Uber app and request for an uberHIRE. Travel farther at lower prices! uberHIRE lets you explore and travel around cities knowing that your Uber will wait for you. Whether it be business or pleasure, we’ll stand by your side ready to move you at a moment’s notice. 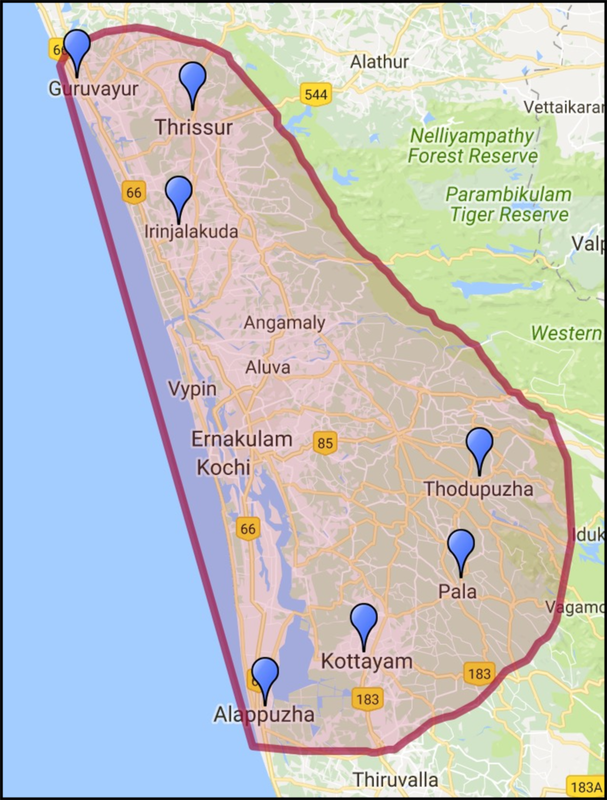 Ever since our launch in Kochi, we’ve received multiple requests to extend our service area. With uberHIRE, you can now travel farther and our driver partners will wait as you go about your day exploring. What are you waiting for? Start planning your itinerary, whether to head over to Guruvayur, join the greatest celebration of the year in Kerala, The Thrissur Pooram, explore the scenic backwaters of Alleppey or the Meenachil River in Kottayam. From today, getting there is just a button away because #uberUNDALLO! *The Return fare is applicable only if the trip ends outside Kochi. If you are using the old Uber app, slide over to the uberHIRE view, set your pickup location and request your ride. If you are using the new Uber app, simply select uberHIRE and request your ride. An Uber will head to pick you up and you are all set to tour around Kochi. You will see your driver’s details straight away – name, photo and the details of the car. At the end of your trip, the total fare will be calculated. You’ll pay just like a normal Uber trip and receive an electronic receipt. The minimum fare for uberHIRE is ₹300. Please note: Available on cash only. This does not apply to companies registered on Uber for Business (U4B) with Centralized Billing.